Garlic Parmesan pigs in a blanket – a twist on the classic pigs in a blanket recipe that’s loaded with flavor! Such an easy and delicious appetizer that comes together in just minutes! 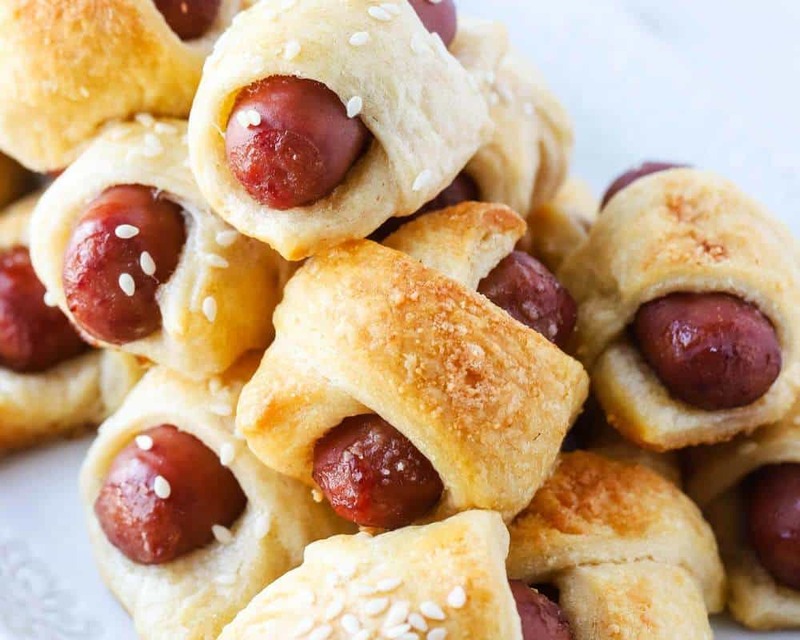 Pigs in a blanket are one of those classic appetizers that the crowd can’t seem to get enough of. 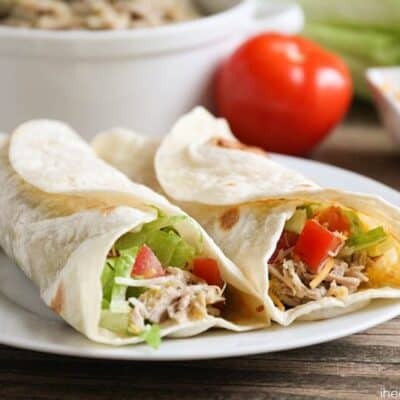 It’s a fail-proof recipe and is always a staple at game day parties. 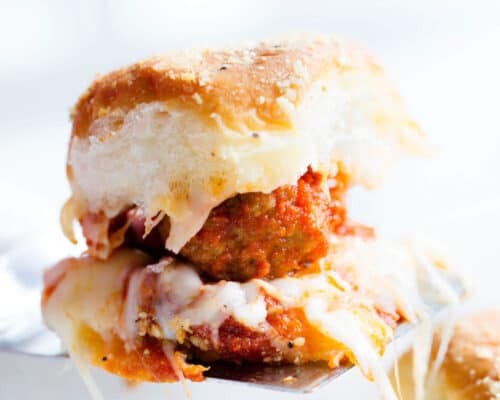 Some of my other favorite classic appetizers are crockpot bbq meatballs, buffalo chicken dip, nachos, cheese balls and ham and cheese sliders. 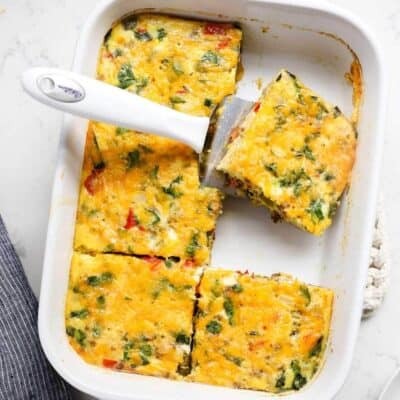 I think you all know how much I love easy recipes! Nothing’s better than something you can throw together in minutes before a party, and these pigs in a blanket are just that. 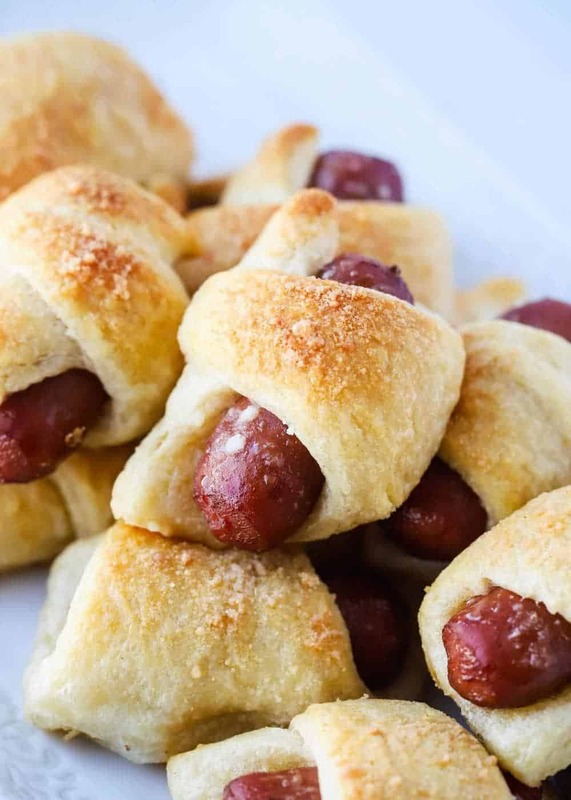 They’re the classic pigs in a blanket recipe that everyone loves with a delicious garlic parmesan sauce brushed on top. So yummy and the perfect appetizer or snack! The garlic parmesan sauce that’s brushed on top of this pigs and a blanket recipe really helps to elevate this simple and classic appetizer. The flavor of the sauce tastes amazing paired with the soft and flaky crescent rolls…your guests will seriously eat these up so quick! To spruce them up a little when entertaining, I’ll sometimes sprinkle on some sesame seeds or poppyseeds. I also love to make pigs in a blanket mummies every Halloween for my family. My kids are obsessed with them and they are such a fun snack! 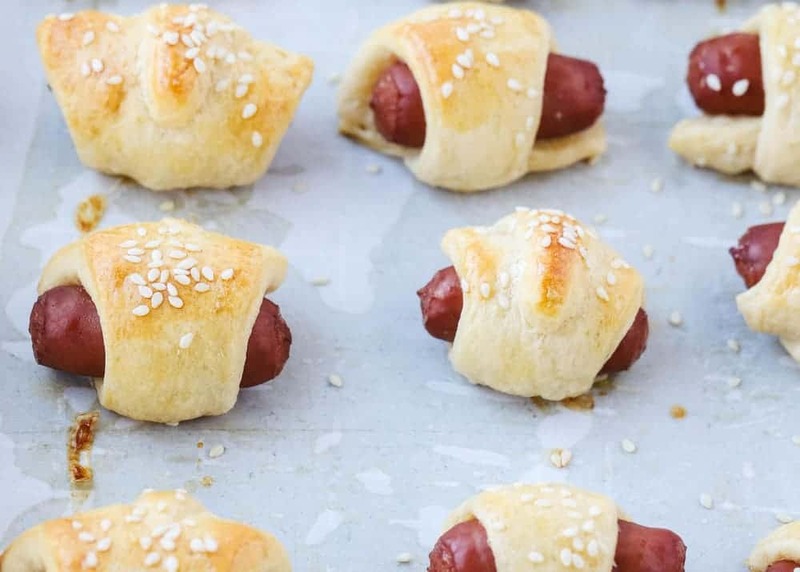 These mini pigs in a blanket couldn’t be easier to make. They are one of my go-to appetizers and are always a crowd favorite. Just follow the simple steps below to get started. 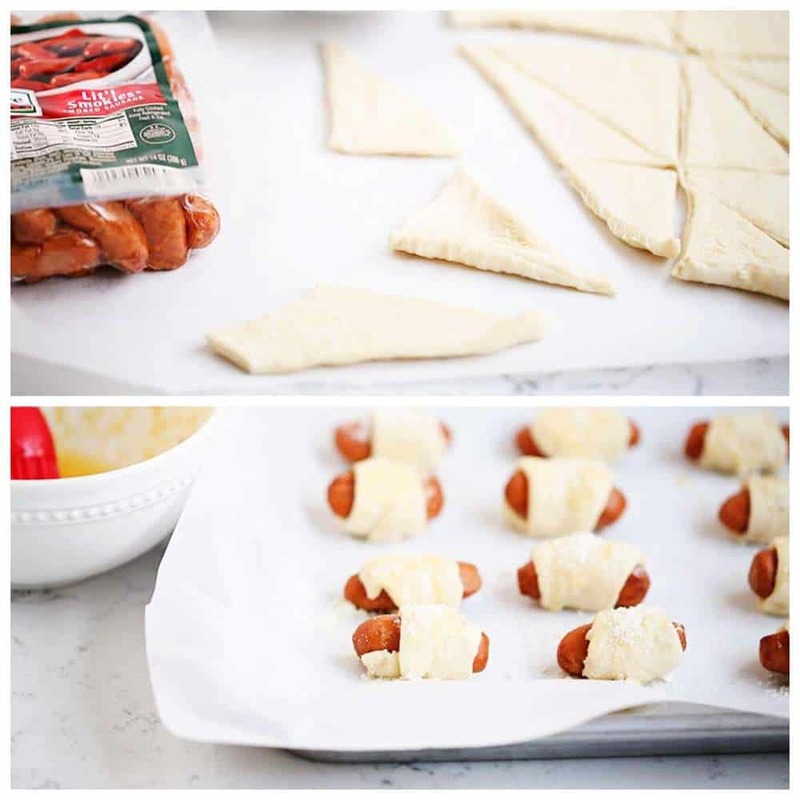 Scroll down for the printable pigs in a blanket recipe. Preheat oven to 375° and line a baking sheet with parchment paper. Set aside. Mix together garlic powder & melted butter in a small bowl and set aside. Place smokies on a paper towel-lined plate. Cut each crescent triangle into 4 smaller triangles with a pizza cutter. Wrap Lit’l Smokies inside the dough and place on a baking sheet seam side down. Brush on garlic butter and sprinkle each pig with parmesan cheese. Bake for 10-12 minutes or until pigs in a blanket are golden brown. What sauce goes with pigs in a blanket? My favorite sauce to serve with pigs in a blanket is an easy homemade honey mustard. It tastes so yummy and is the perfect compliment. There are so many other sauces that pair wonderfully with them too. Check out a few of our favorites below. Add 3 Tablespoons mayonnaise, 3 Tablespoons Dijon mustard and 2 Tablespoons honey to a small bowl. Whisk until combined and serve with warm pigs in a blanket. 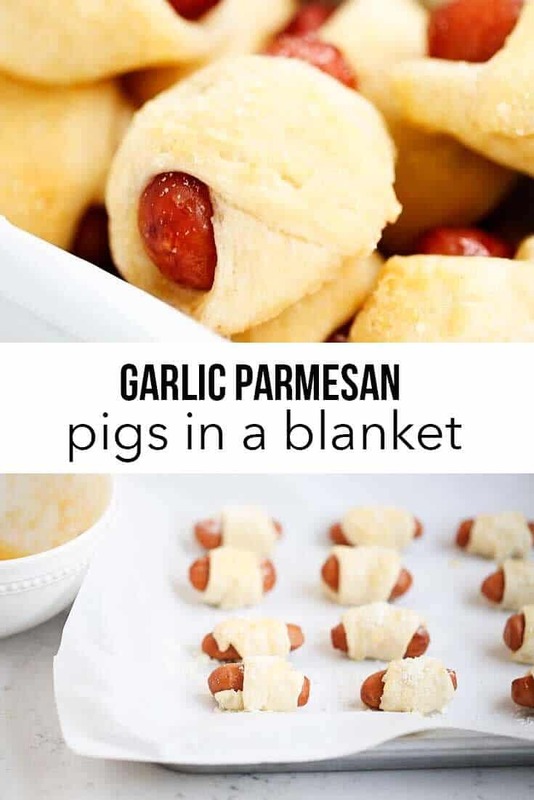 Can you make pigs in a blanket in advance? Yes! 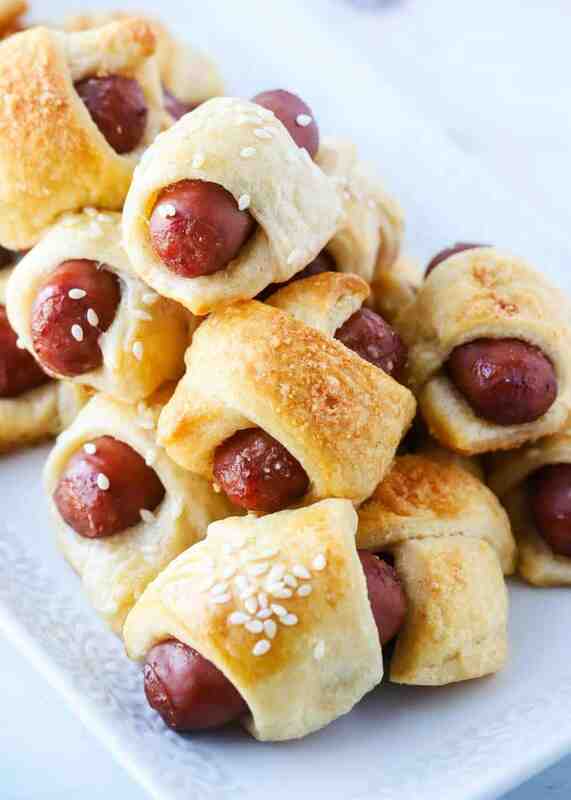 That’s one of the things that makes this pigs in a blanket recipe so simple! If you’d like to make them in advance, go ahead and wrap the Lit’l Smokies with the crescent dough. Then place them on a baking sheet, cover with foil and stick in the fridge. When you’re ready to serve, just brush the tops with the garlic parmesan mixture and pop in the oven. It’s as easy as that! Can I freeze uncooked pigs in a blanket? Sure! If you’re planning on freezing your pigs in a blanket, simply wrap the Lit’l Smokies with crescent dough, then place on baking sheet. Freeze them until they harden, then add to a freezer bag. Store in the freezer for up to a month. When ready to serve, place thawed pigs in a blanket on a baking sheet and brush on garlic parmesan mixture. Bake in oven for about 10 minutes, until golden. Garlic Parmesan pigs in a blanket - A twist on the classic pigs in a blanket recipe that's loaded with flavor! Such an easy and delicious appetizer that comes together in just minutes! Mix together garlic powder and melted butter in a small bowl and set aside. Wrap Lit’l Smokies inside the dough and place on a baking sheet seam side down. Brush on garlic butter. Sprinkle each pig with parmesan cheese and bake for 10-12 minutes or until pigs in a blanket are golden brown. Enjoy! Dipping sauce: Whisk together 3 Tablespoons mayo, 3 Tablespoon Dijon mustard and 2 Tablespoons honey. Whisk 1 egg white and brush on the tops. Then sprinkle with sesame seeds or poppyseeds before baking. Use a hot dog and cut into thirds if you prefer. Place a piece of cheese in before you roll up the dough. 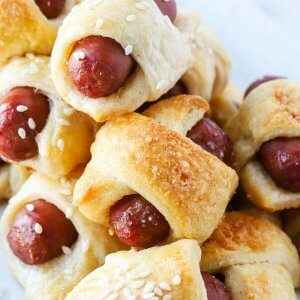 You can’t go wrong with these pigs in a blanket – they are definitely one of my favorite easy appetizer recipes! 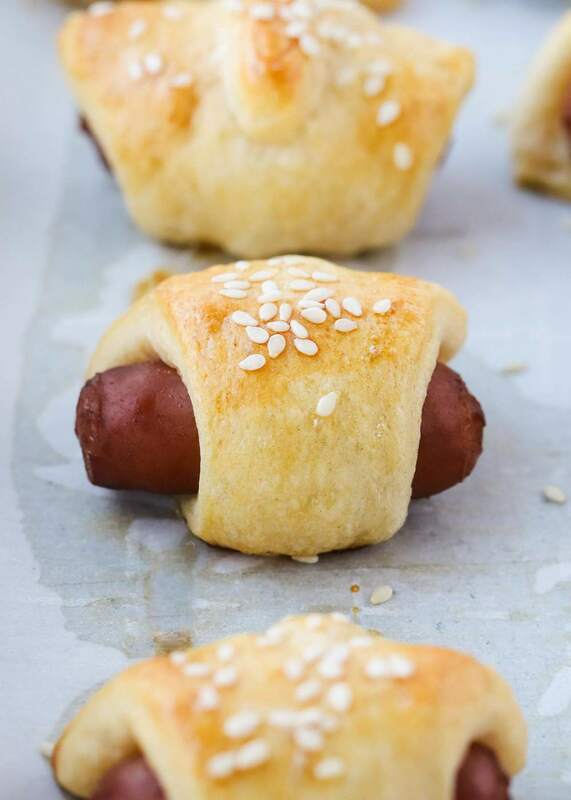 It never ever occurred to me to make pigs in a blanket with little mini dogs! Brilliant! and they’re so good, too. I’m going to make them for ALL my parties. They are the perfect party appetizer! Love these! 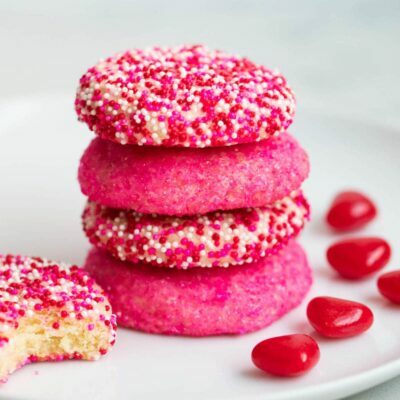 Can’t wait to make them for the superbowl! Nicely explained, I actually made garlic parmesan pigs blanket today for my family, it tastes delicious. 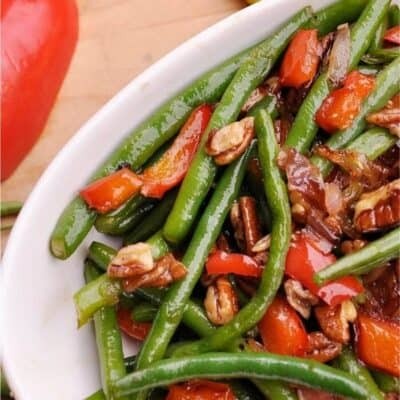 It is a guaranteed method of fast cooking and does retain the nutritive value of food. Thanks. Glad you enjoyed them! 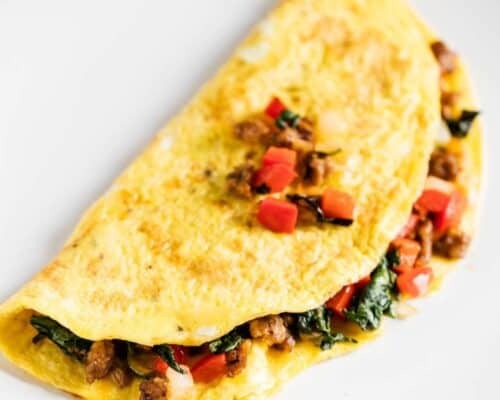 Such an easy and delicious meal! Oh, yes. These would definitely disappear if these were anywhere near me! I loooove the garlic-parmesan flavors!